EAST NEW YORK, Brooklyn (WABC) -- Police are searching for a passenger who hit at an MTA bus driver with a bottle in Brooklyn. 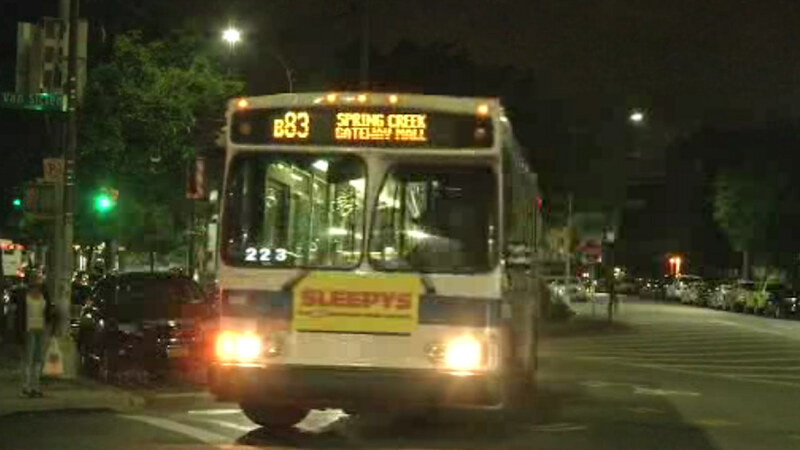 It happened Thursday evening on a B-83 bus in East New York. The Transit Workers Union says the passenger became angry after the driver asked him to step behind the white line after boarding. They got into an argument and the suspect threw the bottle, hitting the driver in the head. The driver was treated for swelling to his forehead and a cut to his lip.